Projects can vary in length of time but here we are going to illustrate a typical project time length and everything that goes into itt o make your electronic product a reality. This is just a guide and and timescales can vary with each project due to nature of complexity as well as communication between all parties with larger project work. The first week starts with the kick off meeting, this is the point in which GSPK Design engineers will discuss with you and your team about every detail of your project. What do you want it to do? How do you want it to look? How will it all work? It’s at this stage that our engineers will formulate a plan for the coming months and look to iron out any potential pitfalls before they arise. 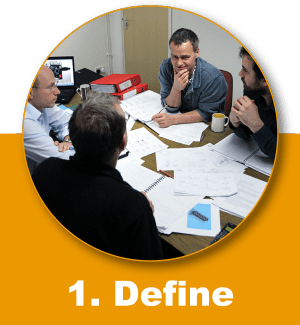 Following this meeting we look at every possible angle of how we can deliver the best and most advanced electronic design for you. Considering all possible scenarios and how we can get to the proof of concept stage. You will be updated on a regular basis either through e-mails, over the phone or regular project meetings. After the initial ‘define’ stage we can then begin to put pen to paper and bring your product to life. 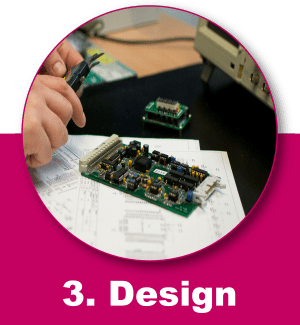 Developing your electronic design is an exciting part of the project as it is at this stage you really start to see your dreams become a reality. Our design engineers get to work in creating your design. Everything from how the final product will look to the requirements of electronics needed to run the device is created. It is also where plans for the initial prototype are prepared and devised. 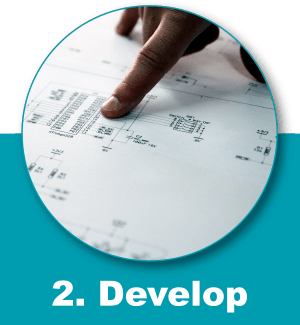 Prototyping is a key part to the development process as it sets you on the path to proving your concept and to give you peace of mind knowing that everything will work to your requirements and to our high standards. Schematic capture, PCB design and a bill of materials (BOM) are also put together at this stage of the project to move the project forward and to shape exactly how everything will work. The design stage is crucial to completing your poject. At this stage PCB’s are layered up, hardware is prototyped and embedded firmware is written. All key components of your project are taken into account. A physical prototype(s) will now be in your hands. This helps you with seeing your final design as how it will look and feel gearing yourself up for market. Our Design Engineers will keep you up to date as the design stage progresse and we will use your valuable input to shape your final product. You can now begin to do what you do best and look at the requirements for your design to take it to the next level including things such as, how will it be packaged? What colour it will be? How many will I need to manufacture? Whether this is for selling it on the marketplace or using it in your field of research to further grow your business. We can handle all your manufacturing requirements for you, with our on-site fully equipped electronic manufacturing facility and highly trained staff, you’re in good hands for the final stage of the project. Rigorous testing measures are in place ensuring your product meets our highest of standards. We don’t cut corners. 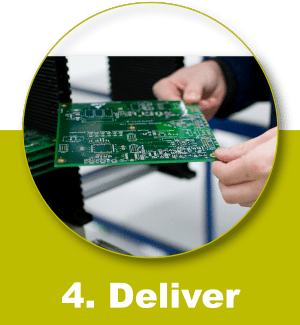 Years of experience and gaining quality accreditations such as iso 9001:2008 ensure your delivered electronics will be of a high working standard. EMC testing (Electromagnetic Compatibility) is a series of tests that are mandatory to any electronic device being sold on a wide selection of markets including the UK, USA and Europe to name a just a few. We work with trusted local partners and our Design Engineers are fully trained in all of the compliance measures to ensure that your product passes these tests. This will all be agreed on at the very beginning of your project. Once testing has been complete and all the manufacturing requirements are achieved then your fully finished electronic design prodct will be packaged and sent directly to you. That’s not to say we say goodbye! 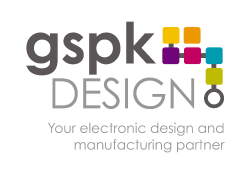 This is just the start of your journey with GSPK Design and achieving your electronic design and manufacturing requirements. We have been working with clients repeatedley over a number of years and overtime this can benefit everyone involved from continual manufacturing requirements to re-design work for your next big project.